What do ABC-TV’s Shark Tank and MK3 Creative have in common? Both recently sent their top sharks to Austin, Texas, for the annual SHI Corporate Sales Conference. We’re a creative agency, and we pride ourselves on storytelling. A live event is a meaty storytelling medium to sink our teeth into, and every year our client SHI lets us do just that. SHI is a leading corporate reseller of software, hardware, and information technology products and solutions. They partner with MK3 to produce and execute a multimedia event that incudes room layout and stage design, A/V technology, and content production. In other words…we help bring their story to life, live on stage. 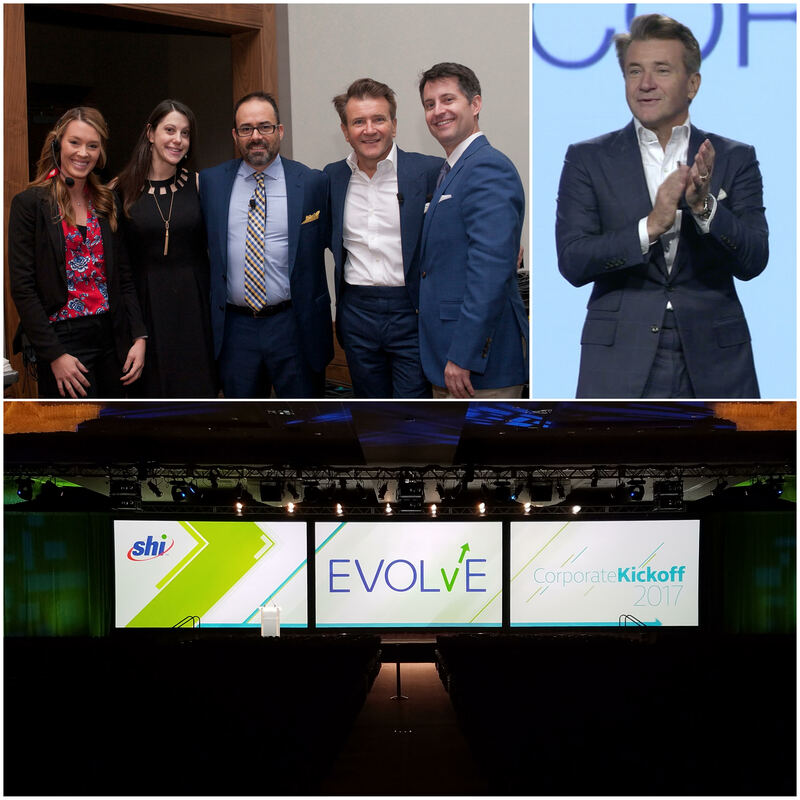 MK3 worked with Herjavec and the SHI team to deliver a live presentation for their sales force that was motivational, entertaining, and ultimately worth the investment.